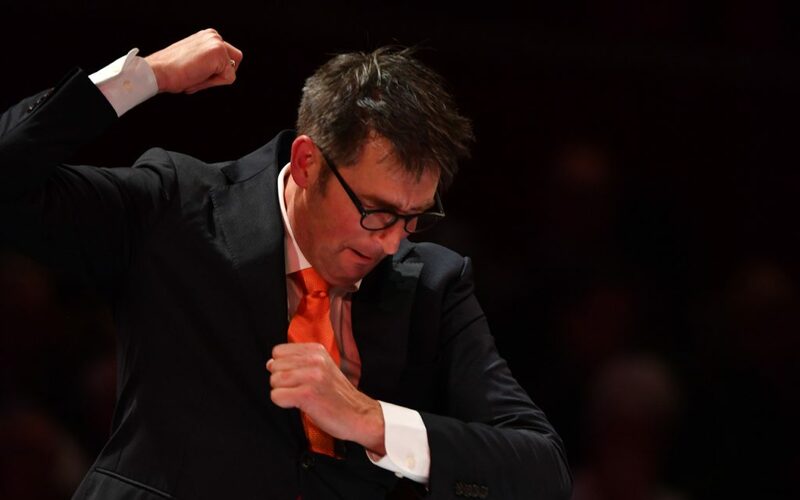 Erik Janssen (1966) studied music at the conservatory of Amsterdam, specialising in performance and conducting. During his time at the conservatory, he studied the trumpet under the guidance of Peter Masseurs, principal trumpet player of the Royal Concertgebouw orchestra and conducting with Danny Oosterman. His career started as a freelance trumpet player, and Erik has since played with many of the leading European orchestras and ensembles, including the Dutch Philharmonic Symphony orchestra, the Royal Ballet Orchestra, the Amsterdam Wind Orchestra and the National Youth Orchestra. Erik is also a leading figure in the conducting world having conducted a range of wind bands, fanfare bands, big bands, musicals and symphony orchestras. He has also taught at several music schools and been invited to give conducting masterclasses at the Conservatory of Amsterdam and Groningen. Erik is currently the Professional Conductor of the Carlton Main Frickley Colliery Band, Brassband “de Spijkerpakkenband”, Koninklijke Harmoniekapel Delft, “Het Noord Nederland Jeugd Orkest” (North Netherlands Youth Wind Orchestra), and his local town Fanfare Band OG Krommenie. For the last ten years, Erik has also conducted the professional military band of the Koninklijke Marechaussee. Erik’s first association with the Carlton Main Frickley Colliery band led to victory in the Grand Shield Contest in Blackpool 2016. He was the first European conductor to win both this trophy and the conductor award in the 96-year history of the contest. Prior to this, between 2008 and 2015, Erik had a highly successful period with Brassband Schoonhoven winning all contests in Holland and Belgium from 2010 to 2013, a unique series of 8 wins in 8 competitions. Erik was the professional conductor of the Military Fanfare Band of the Royal Marechaussee (Trompetterkorps der Koninklijke Marechaussee) in the period 2006-2016. During 2013 to 2016 while working with the first division band “de Spijkerpakkenband”, Erik and the band had unprecedented success on the contest stage. They won the Dutch First Division Brass Band Championships in 2014 and 2016, and finished runner up in the same contest in 2013 and 2015. The band also won the First Division Brass Band Section of the World Music Contest in Kerkrade in 2013, the Survento Brass Festival in 2015, and the Flemish Open First Division in 2016. Throughout his career Erik has been invited to perform or conduct in various countries worldwide, including Canada, New Zealand and South Africa. Erik has also visited several wind and brass bands across Europe as guest conductor. In particular, he has worked with Banda Amizade in Aveiro (Portugal), Manger Musikklag (Norway), the Paris Brass Band (France), the Whitburn Brass Band (Scotland), the Woodfalls Brass Band (England), and the Swiss National Youth Band. In 2016 Erik conducted the European Youth Brass Band in Lille, France. Outside of his conducting commitments, Erik is a Yamaha artist and has been managing director of the FEMU since June 2016. 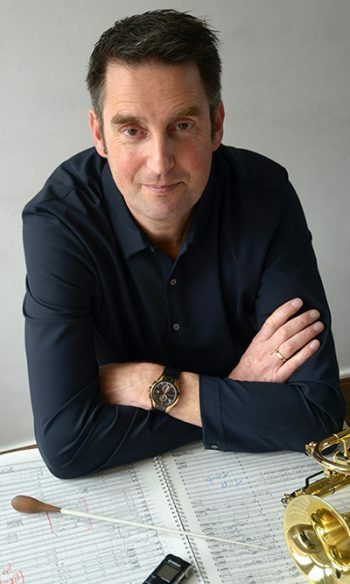 From 1986 Erik has worked as Artistic Director at Molenaar Edition Music Publishers and in this time he has produced over 50 cd’s featuring wind band, fanfare band and brass band music. He is also in demand as an adjudicator, having been invited to adjudicate in France, Norway and Switzerland. Erik has also conducted at the European Brass Band Championships on six separate occasions, all with great result. The highlight of these contests was the own choice test piece performance of Audivi Media Nocte (Oliver Waespi) which was awarded 99 points out of 100 and won that category in 2012.